I was asked by Multicultural Kids Blog to read and write a review for a fairly new book series called Pack-N-Go Girls by Lisa Travis and Janelle Diller. My interest was peaked, of course, by just the name of the series. As I read the background of how this series began, I was curious to see how well these books might be suited for kids who live overseas, TCKs. At the moment they have six books that explore three countries: Austria, Mexico, and Thailand. They will be starting the research this year for the next two books that will be located in Brazil. I decided to read the first book in the series, Mystery of the Ballerina Ghost. Brooke is from Colorado. She has the opportunity to travel to Austria with her mother, who has a short term job assignment at a castle. In Austria she meets Eva a girl not only her age, but who also lives in the castle with her grandfather. Though they become friends quickly, Brooke soon discovers that the castle may possibly be haunted by a ballerina ghost. She and Eva spend their free time to uncover this mystery. What child doesn’t like a mystery? I felt the mystery was intriguing enough to cause the young reader to keep reading. I did feel that the reader would learn a little bit about Austria without feeling like it was a geography lesson. I liked that at the end of the book there are a few pages with learning simple German phrases, as well as some important facts about Austria. Overall, I thought it was a good early chapter book for children ages 6-8. As for TCKs, knowing that Brooke was not staying, but only there for a few months at the most, I felt it didn’t really deal with many of the issues that TCKs deal with. So in that respect, I can’t recommend it as a book dealing with transition. BUT, I would definitely recommend it for those who are going to Austria (or any of the other countries they write about) on a vacation or a short visit. I do think it was well written and had some great facts about the country. To read the rest of this review at CLEW, click here. If you’d like to read a different review, click here to read the one on Goodreads. Kara lives with her American mom in Tianjin, China. Her mother brought her home eleven years ago after finding her abandoned, but for reasons Kara doesn’t understand or fully know they are not able to travel too far outside their small apartment, let alone move to Montana where her dad lives. After her older sister comes to visit, unpreventable events occur that causes a domino effect in Kara’s life. She uncovers answers to her questions and learns to thrive in new, and sometimes quite scary, environments. The story is told in moving (sometimes to tears) verse. I’ve included this book on my list of TCK books because Kara is a TCK. From the beginning you sense it. She’s Chinese, but her mother is American. She looks Chinese, but feels American on the inside. Isn’t that what a lot of our children feel like? The author knows this feeling because she herself grew up in Hong Kong. It’s also an adoption book – as there are some deep issues touched upon. We “hear” Kara’s thoughts about all that is going on around her: her fears, her questions, her sadness. I think I’ll let the book show what I’m trying to say. You’ll get an idea from this excerpt – which is one of my favorites. Sonnichsen understands adoption as well as a mother can. She and her husband adopted their oldest child while living in China. I totally recommend this book, especially if you have internationally adopted. It is truly a good read. My only warning is that you set time aside, as it will be hard to put down. It seriously is that good. DUTCHED UP! 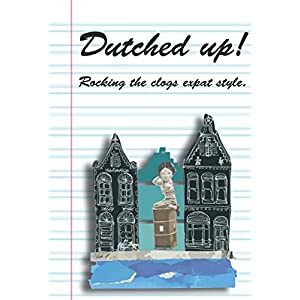 ROCKING THE CLOGS EXPAT STYLE is a compilation of short stories and articles written about living as an expat in the Netherlands. The stories come from women who have and are living there as foreigners. These stories are well-written and very entertaining – even to this expat who does not even live in Europe. I truly believe that if one finds his/herself moving to the Netherlands that this book should be on their list to read before moving there. The stories in this book are not just entertaining, but helpful to those learning to navigate through the culture, the language, food, and yes even help with the washing machine manual. I found myself wishing I had had a book like this for living in Asia when I first made the dive into living abroad. PASSAGE TO PERSIA is a story of a young missionary doctor and her 30-years in Persia, or what is now known as Iran. Adelaide Kibbe became a doctor in the 1920s and traveled to Persia. Her story is woven together through her personal letters, diary entries, and mission/hospital reports. It’s through these accounts we see a young lady become a wife, a mother, and a widow – all while working as a doctor in a fairly rough country for women. You can read my full review at the CLEW website. Just click here.